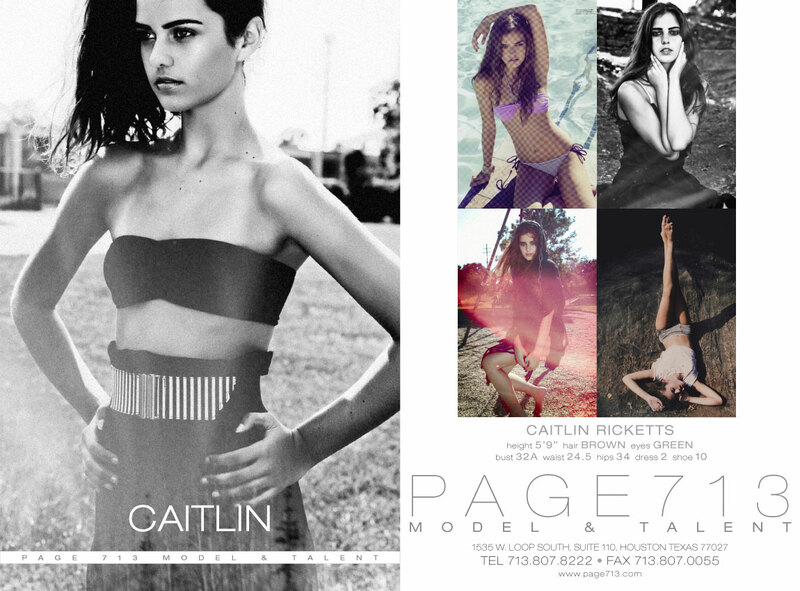 Page Parkes Model + Talent: Catching Up With Caitlin! We caught up with our model, Caitlin Ricketts, to ask her about her experience in New York Fashion Week and walking for Betsey Johnson and other designers. Is this your first time walking in NYFW? Yes this was my very first time to walk in NYFW, I am so thankful to been given such a great opportunity. If not, what other shows have you walked in? Betsey Johnson was my first show to walk in but I also got to walk in the BEBE show this season. A few of the other shows I did were Nomia, The Green Shows, and Katya Leonovich. What was your favorite part about walking in the Betsey Johnson show? My favorite part about walking in the Betsey Johnson show was actually walking on the runway, it was such a rush and so much fun. I loved the fun crazy outfits I got to wear as well, everything went by so fast but it was such a great experience. What were you most nervous about? I honestly was not nervous at all. The atmosphere was crazy and hectic with cameras and celebs everywhere but Betsey made sure everyone was having fun. She even ran around to all the models throwing rose petals at us saying "Have a great show!" I was so thankful to be selected to walk in such an amazing show I didn't have time to be nervous, I was having too much fun:). Did you get to meet Betsey Johnson? I did get to meet Betsey and she was so sweet. She is a ball of energy thats for sure, she probably did about three cartwheels backstage. How was this show different from other shows you have walked in? This show was so different from any other show I have done before because of the atmosphere backstage, it was a party! They had candy, cupcakes, a DJ, and balloons. My favorite thing was the posters that Betsey herself made and put all over the walls backstage that said things like "Be happy" , "Have fun", "Rock the house". It was such a fun night I didn't want it to end. We are so proud of you, Caitlin! Thank you for working hard and updating us!